In Indonesian market, Facebook page like in any other country is now essential for user retention. In facts social media has large population and Facebook has 90 million users as of August, 2016, which is roughly the same number of the internet users in the country. In this chapter, to provide a successful precedent of a local company, I will introduce you to Megaxus, PC online game giant. Megaxus values social media and has, of course, its company web page but also has separate web pages for each title. 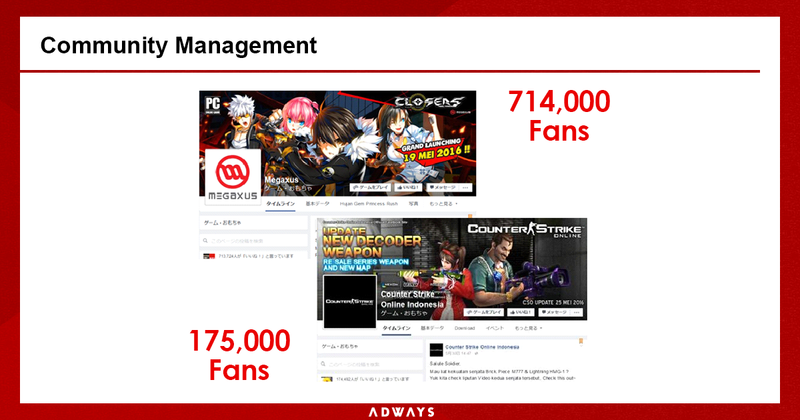 These media accounts take a prominent role to provide users with various types of information including game events and campaigns. 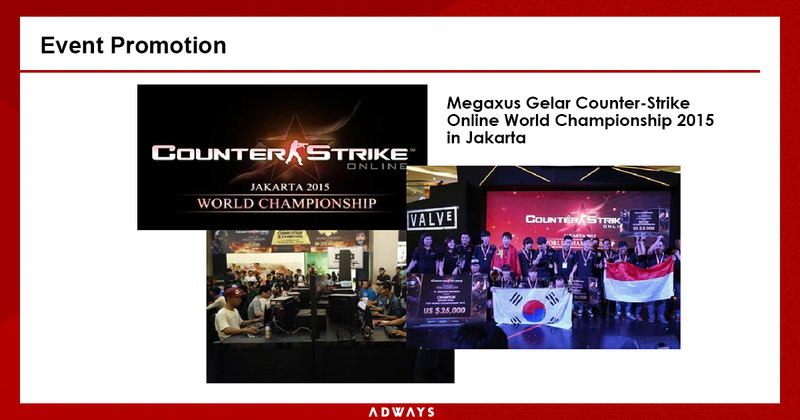 Megaxus had its world game competition for its popular title, Counter Strike, social media play a significant role in event organization. The competition was advertised and announced countless times on social media in advance to the event and on the day of the competition, the social media was filled with real time updates. Understanding that Indonesian people love to take pictures and share it on social media, the event was shared and spread by the participants many times. 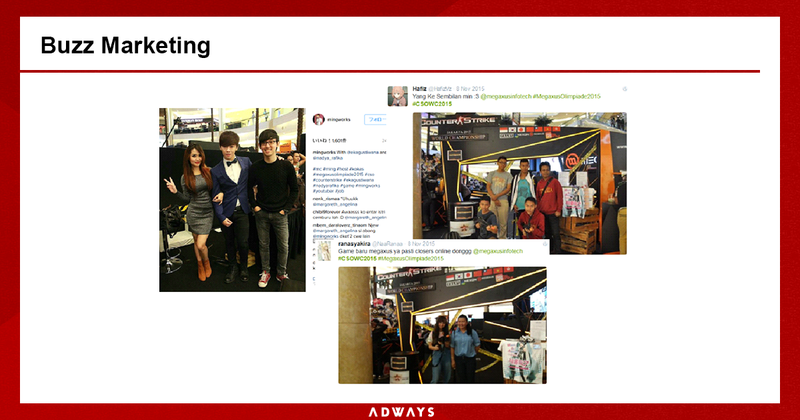 If they had celebrities or influencers at the event, the event would have been even stronger. Buzz Marketing or Influencer Marketing where having celebrities or influencers on the event and having them share on their platforms is a commonly used marketing strategy today. In mobile gaming particular, Buzz marketing is not yet widely practiced, but as the market grows rapidly, more and more market methods and strategies will be practiced. As a global ad agency, it is our duty to dive into the local market and learn in depth in order to support ambitious developers to advance into Indonesian market.